Pictured below are some items available for sale. If you would like to purchase or trade for any of the items to this page, please make contact on the link above. We do have other items - email with your request. 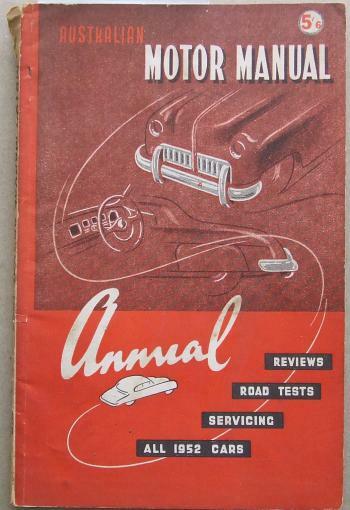 Australian Motor Manual Annual 1952, reviews of all cars available in Australia in 1952. 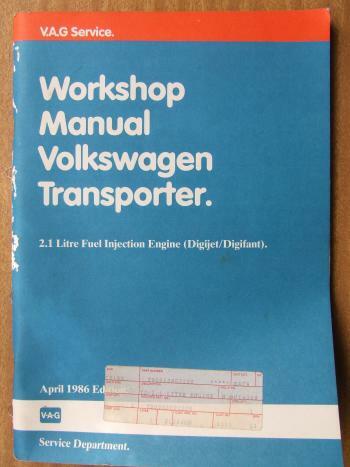 VW Volkswagen Transporter 1986 Mechanics Workshop Manual 2.1 litre Fuel Injection Engine, 103 pages. 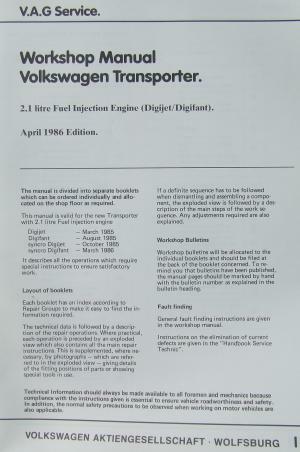 Official VW publication # 000.5380.32.20. Good clean condition, no evidence of use. 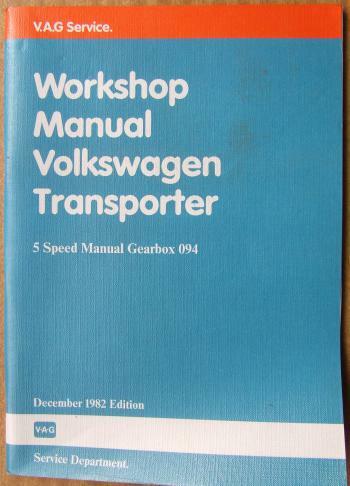 VW Volkswagen Transporter 1982 Mechanics Workshop Manual 5 speen manual gearbox, 60 pages. 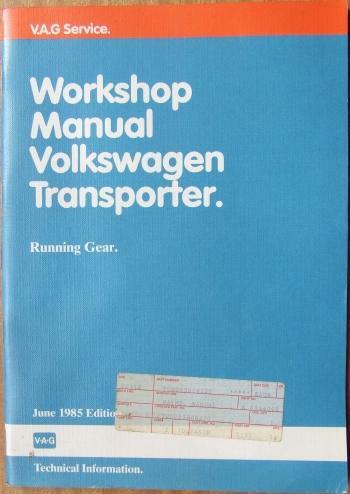 Official VW publication # 000.5381.61.20. Good clean condition, no evidence of use. 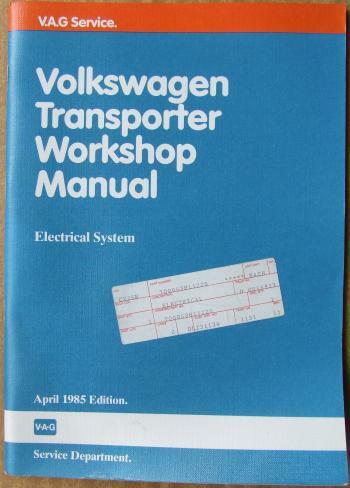 VW Volkswagen Transporter 1985 Mechanics Workshop Manual Electrical Syatem, 79 pages. 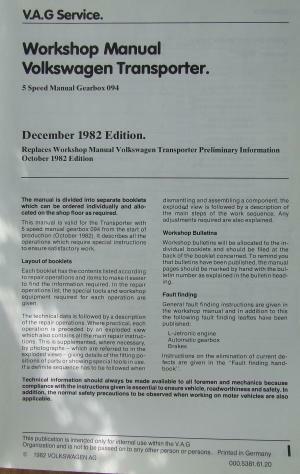 Official VW publication # 000.5381.12.20. Good clean condition, no evidence of use. 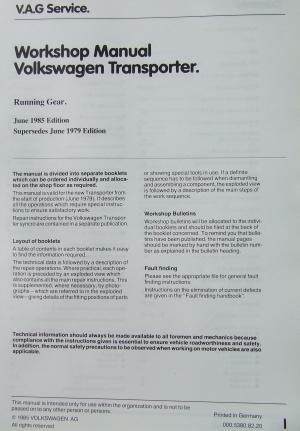 VW Volkswagen Transporter 1985 Mechanics Workshop Manual Running Gear, 77 pages. 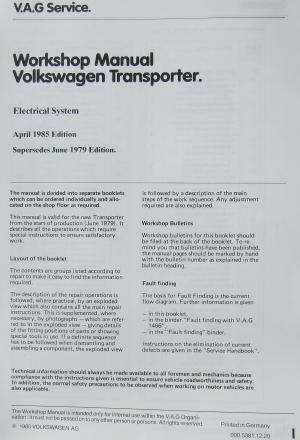 Official VW publication # 000.5380.82.20. Good clean condition, no evidence of use. 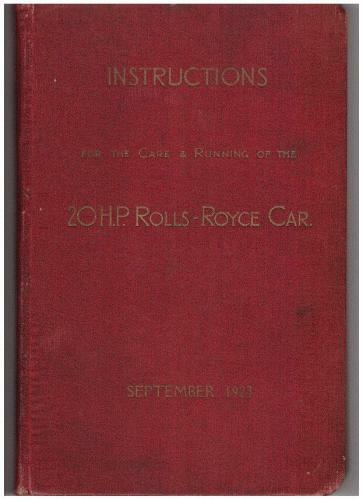 Original Instructions for the care and running of the 20HP Rolls Royce. 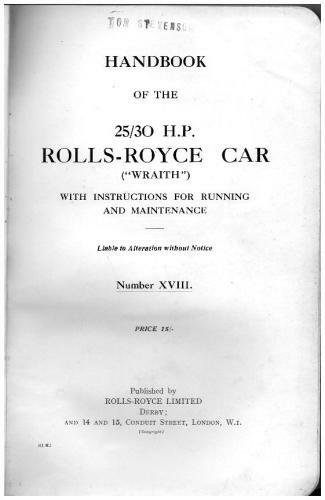 Published by Rolls Royce in September 1923. 106 pages, plus two fold out wiring diagrams plus card covers. 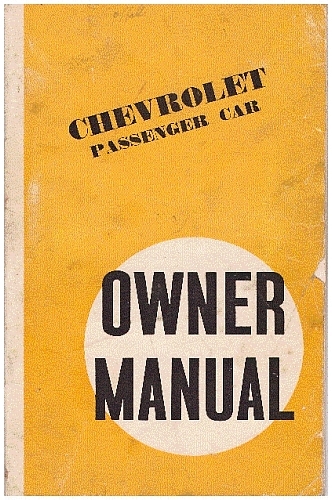 There are no owner markings or other ID in it, and the pages are clean and free from scribble. 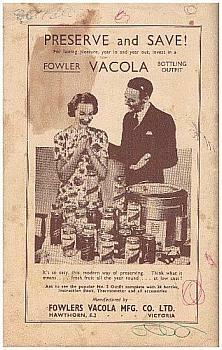 Binding is solid, as very desirable item. 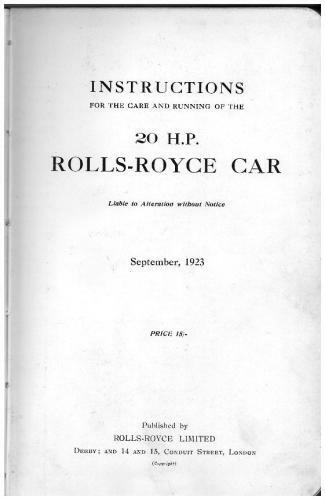 Handbook for the 25/30 HP Rolls-Royce (Wraith) with instructions for running and maintenance, Number XVIII (17) Published by Rolls-Royce Ltd. 125 pages of text plus additional information about... "certain proprietry components viz., the battery, wheels and tyres, the permanent jacks, fuel pumps and fuel gauge provided as separate instructions by their respective makers will be found incorporated as pamphlets at the end of the book". 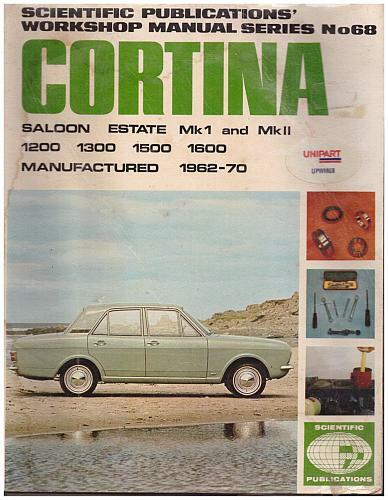 Also has some loose pages provided as inserts / updates. The Rolls-Royce 25/30 built between 1936 and 1938 is an updated version of the 20/25 with larger engine to provide more power. 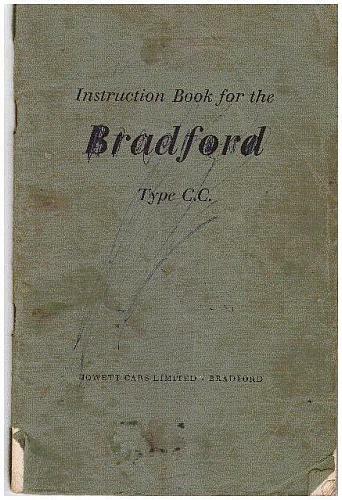 The book has some number plates recorded on the inside cover, a dedication in biro on the inside fly cover, and a faint owner stamp at top of inside title page. 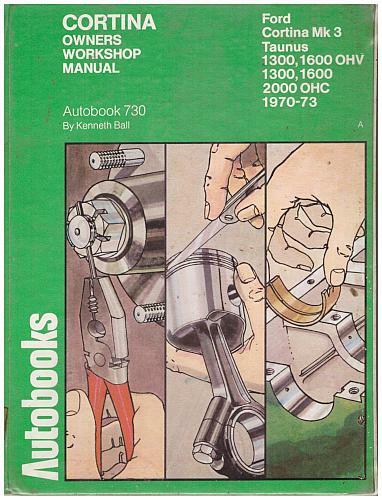 The rest of the book is clean, binding is solid - a great handbook. 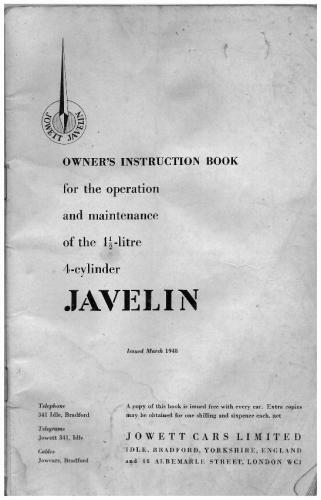 Instruction Book for the 1-1/2 Litre, 4 cylinder Jowett Javelin, by Jowett Cars Ltd, Bradford , Issued March 1948. 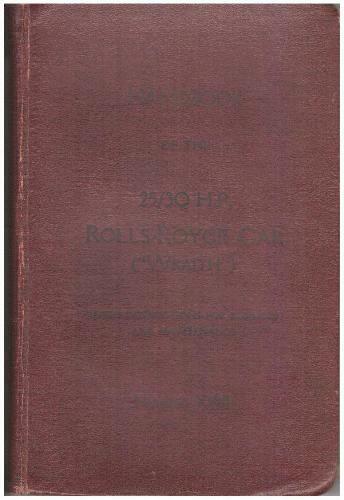 Condition, has been folded lengthwise, slightly grubby, with dogeared bottom of pages. 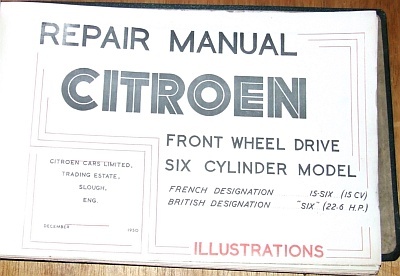 CITROEN Front Wheel Drive Six Cylinder Model Repair Manual. 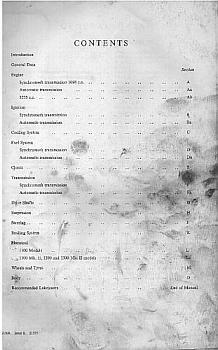 French Designation 15-SIX (15 CV), British Designation “SIX” (22.6 H.P.) 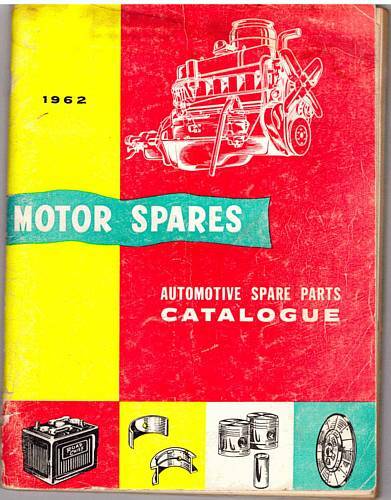 Published by Citroen Cars Limited Trading Estate, Slough, Eng., December 1950 Illustrations. 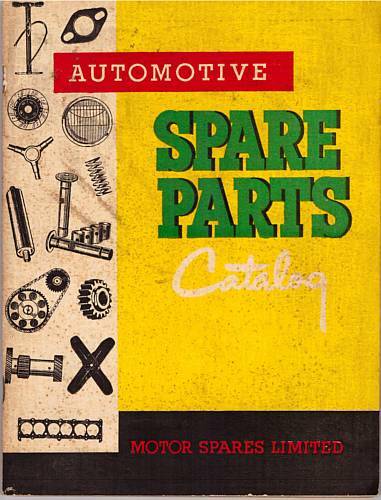 144 pages of illustrated diagrams of component parts, including Service Tools needed for repairs of each part. 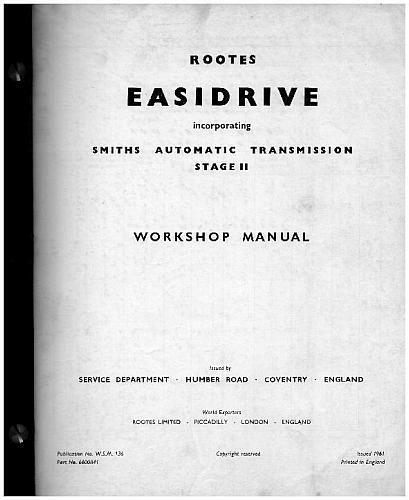 Rootes EASIDRIVE incorporating Smiths Automatic Transmission Stage II Workshop Manual 1961 Part No 6600841. 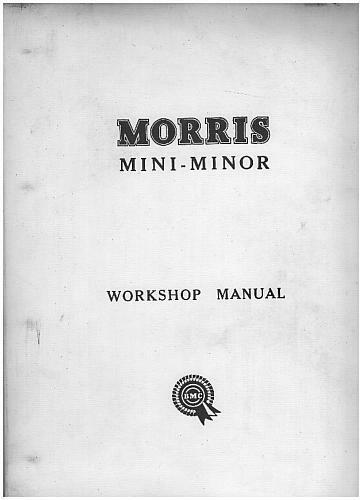 Approx 150 pages of instructions, with illustrations. 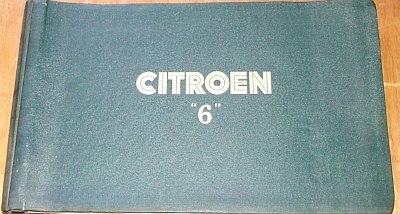 600G, in very good clean condition, original publication. 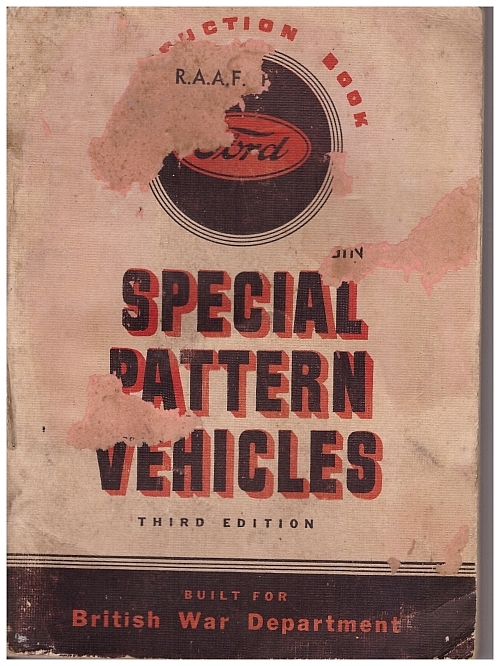 Instruction book Ford Special Pattern Vehicles built for the British War Department, third Ed. 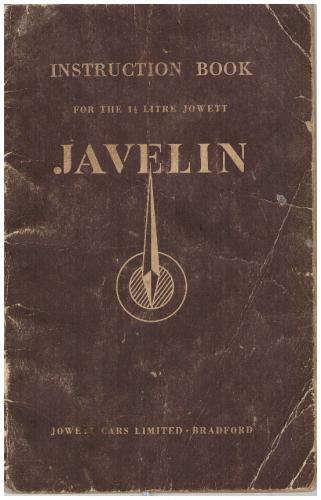 The manual has had a RAAF paper sticker at some stage, which has almost completely gone. 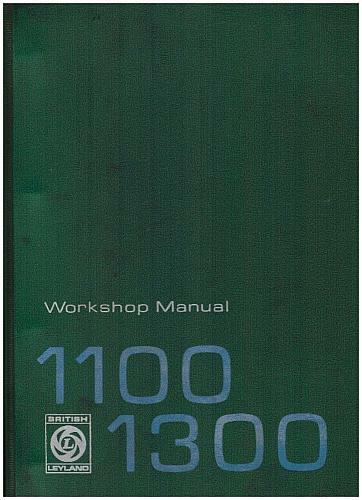 British Leyland Workshop Manual for the 1100 & 1300. 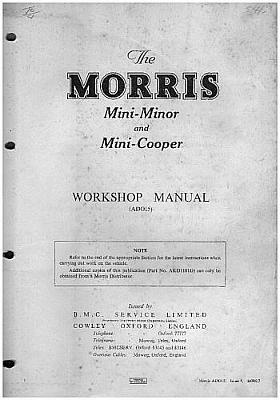 The manual covers models: Morris 1100 Mk 1, Wolseley, Riley and M.G., Austin [except Deluxe], Morris 1300/1100 Mk 11 Super Deluxe and M.G. Sedan. 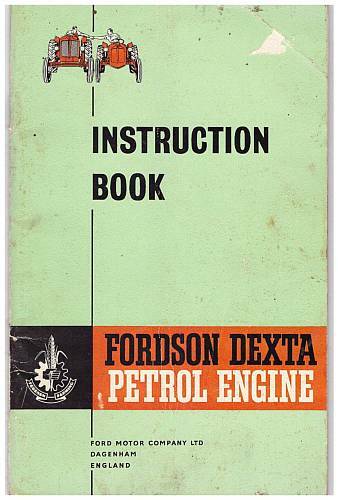 Printed in England by The Nuffield Press Ltd, Cowley, Oxford 29/17 (80323) 5/70–7,007. Some grubby pages, but majority are clean. All in an original Vinyl 4 ring binder folder. 1.4 kg. 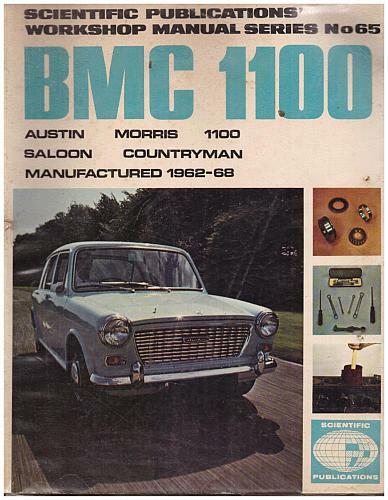 Scientific Publications Workshop Manual No 65, for BMC 1100 – Austin 1100, Morris 1100, Saloon, Countryman, manuf 1962-68. Light greasy marks, but quite legible. 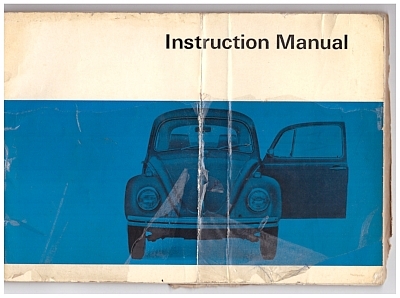 VW Beetle Instruction Manual for models VW1500,VW1300, VW1200. August 1969. Part no 158.265.20. Printed in Germany. Model illustrated and referenced throughout is a 1500 LHD. Cover is creased as per pic. Colour foldout is a bit ratty along the fold. 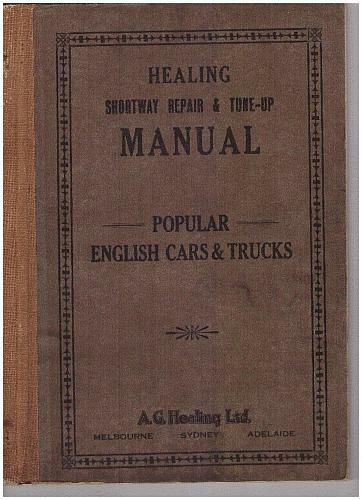 Healing Repair & Tune-Up Manual for Popular English Cars & Trucks. This is a hard bound compilation of their Service Bulletins. Some light prints and soiling to pages, otherwise good condition. 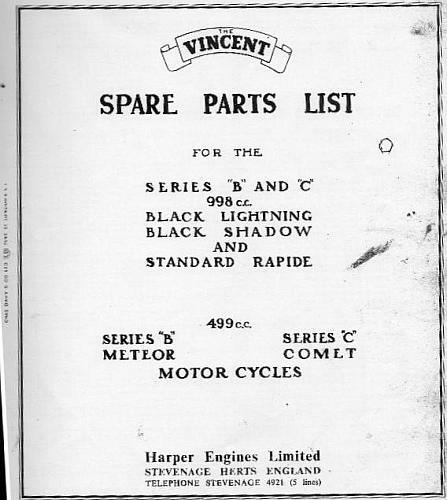 Spare Parts List for Vincent Motorcycles Series B & C 988cc, Black Lightning, Black Shadow, & Rapide, 499cc Series B, Series .Photocopy in a folder of clear sleeves. Over 500g weight. 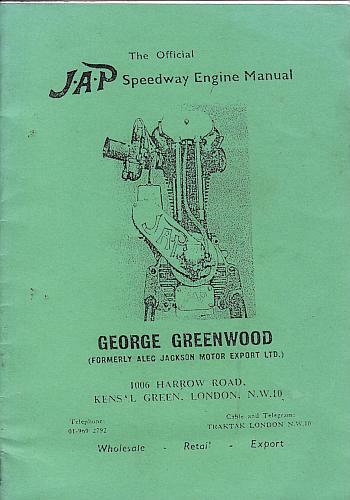 Jap Speedway Engine Manual – 500cc Speedway Engine Type 4B. 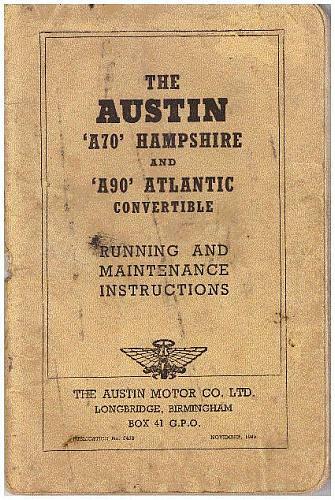 Book looks to be a reproduction. 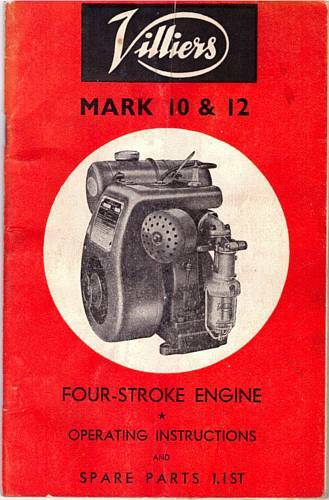 BSA Portable Industrial Engines, 320cc & 420cc, Instruction Manual. 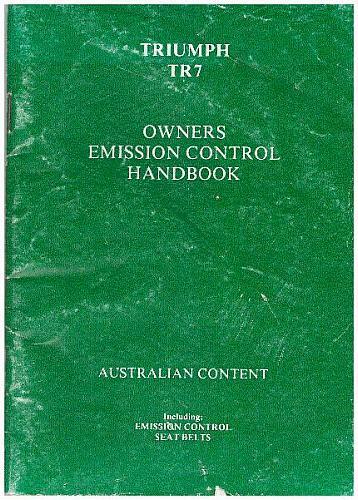 Good condition, 22 pages, clean inside. 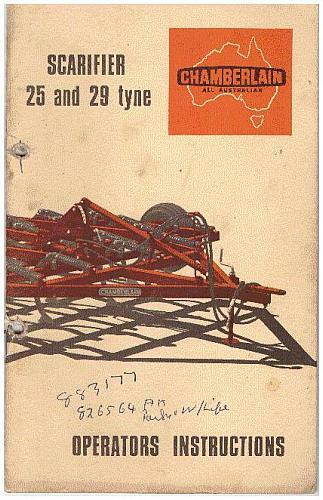 Dup Parts List for Mitchell Combined Drill-Cultivator and Grain and Fertilizer Drills. 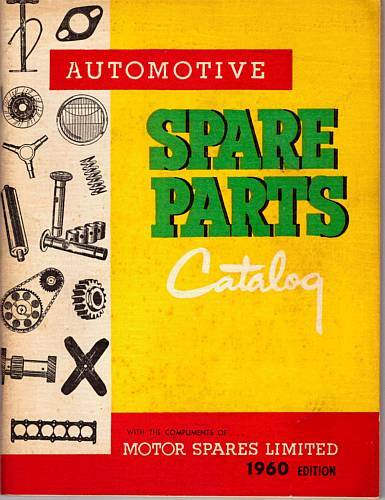 It has 34 pages of parts lists and 21 plates of parts shown in exploded diagrams. 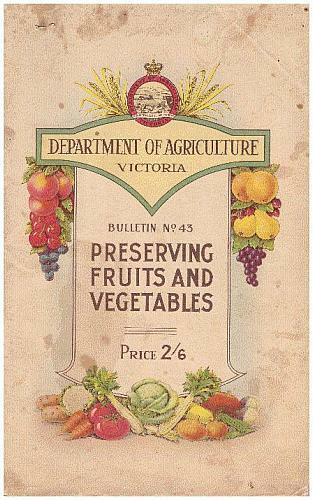 Clean, pages slightly yellowed with age. 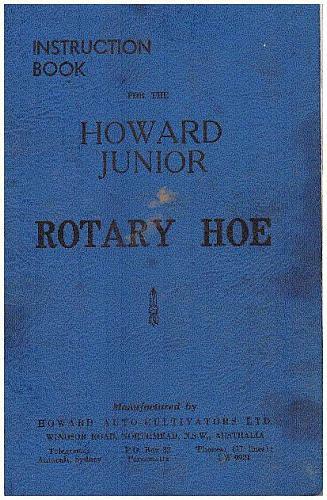 Instruction Book for Howard junior Rotary hoe. 40 pages, clean, good condition. 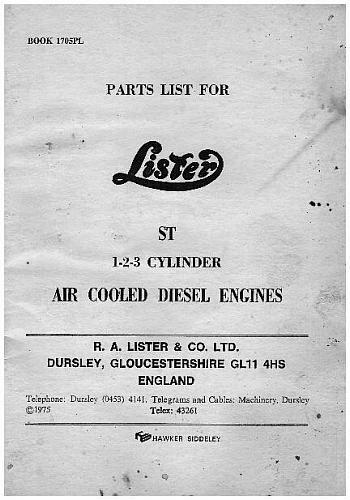 Lister ST 1,2,3 Cyl Diesel Engines, air cooled Parts List. 100 pages, clean, good condition. 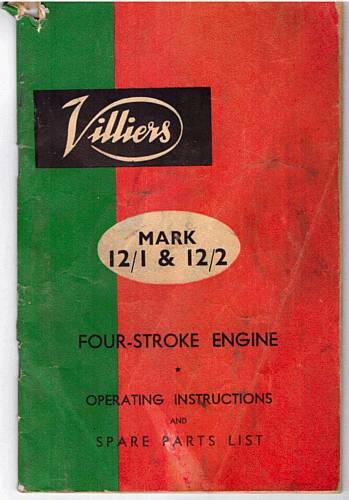 The Famous KOERSTZ Press, illustrared catalogue of manually operated Koerstz wool presses. 20 pages dates 1965. 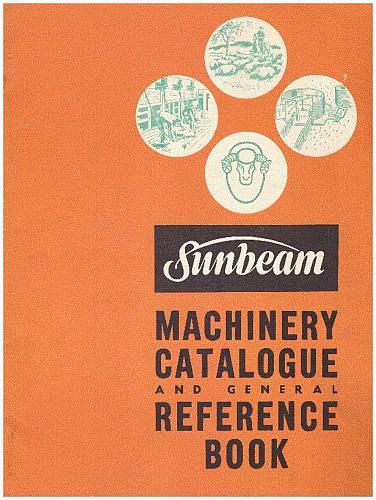 19 illustrations shown, including one of a a Hew Era Power Press. 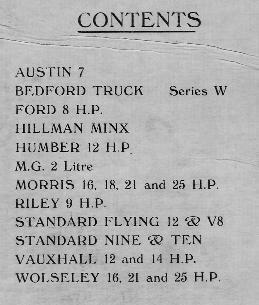 Chamberlain Industrial MK3 Tractors. 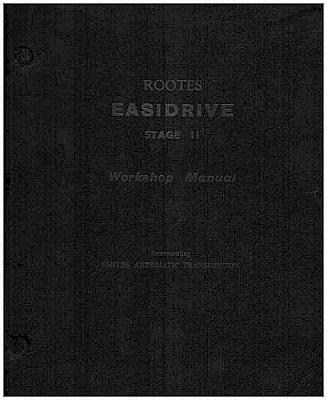 213 pages with exploded diagrams and parts listed. 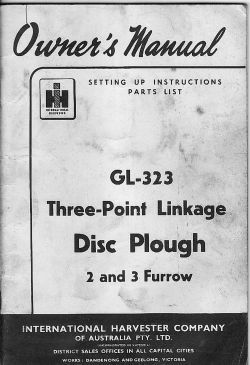 Part Number 41380, 1St Ed, June 1969. 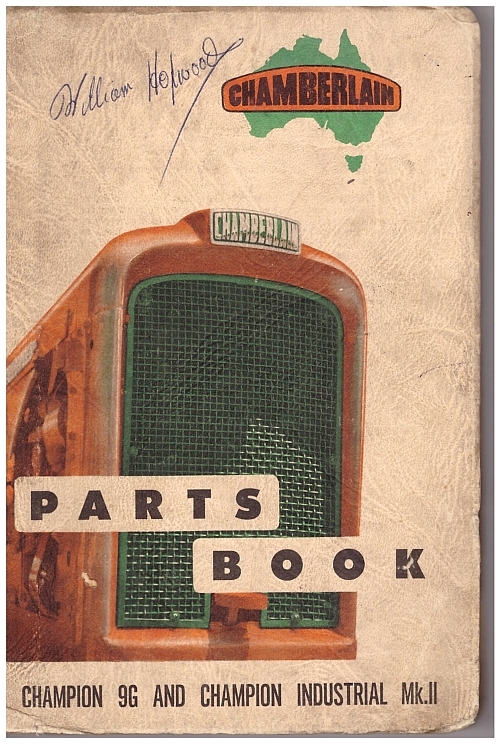 Chamberlain Front Gearbox Parts changes for Champion MK11 Tractors from Serial Number IND. 4305. 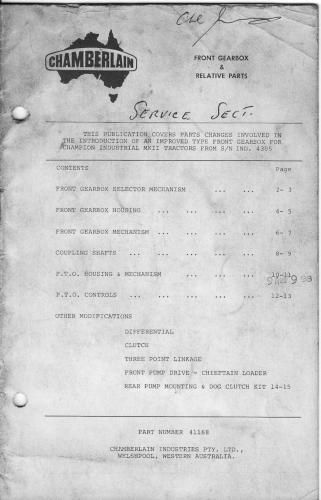 15 pages with exploded diagrams and parts listed. Covers grubby, inside OK. Partner R16 Chainsaw Instructions & Parts. 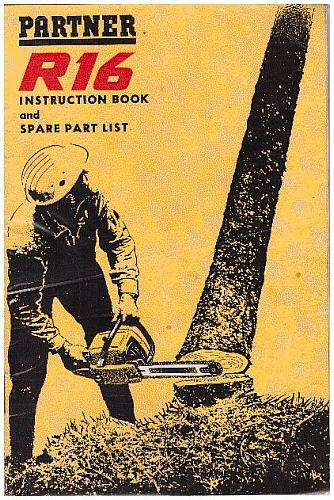 Includes instructions for safe handling & falling trees. 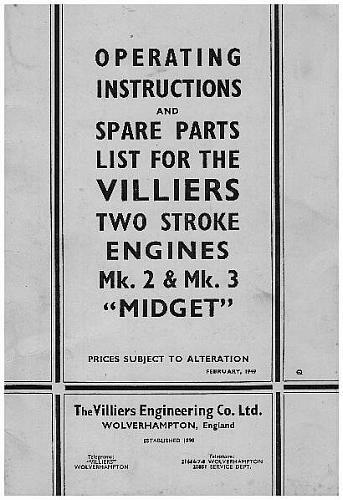 Operating Instructions & Spare Parts List for Villiers Two stroke Engines Mk.2 & Mk.3 MIDGET. Very good condition, clean inside and out, 18 pages incl multiple plates.